Hi everyone, I'm just sending you a note today with a sweet and simple card. 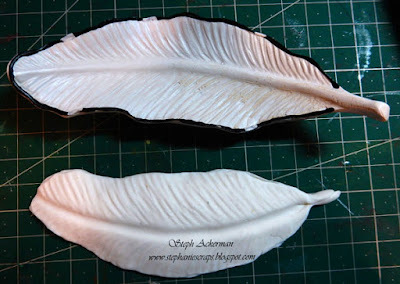 I created a feather using Makin'sⓇ white clay and a ceramic feather for a mold. Look at all the details! 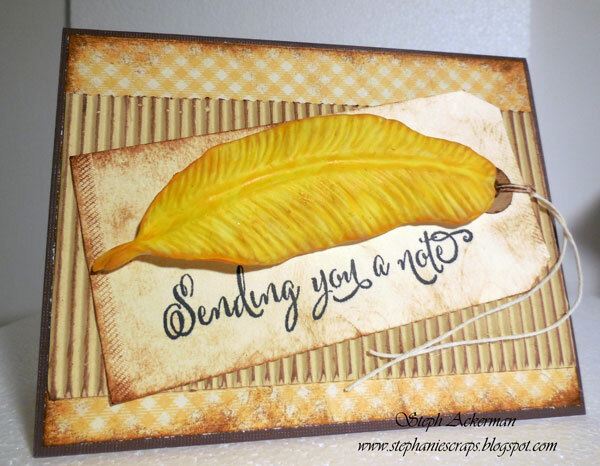 I painted the feather with yellow paint to coordinate with the card I created, then added some brown ink to age it a bit. 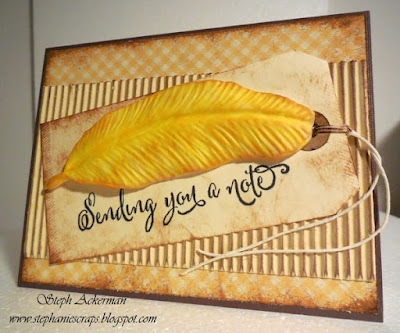 Using Beacon Adhesives, I adhered the feather to a tag, then stamped a So Suzy sentiment beneath. So tell me, do you still send hand written notes to family and friends or is everything electronic?